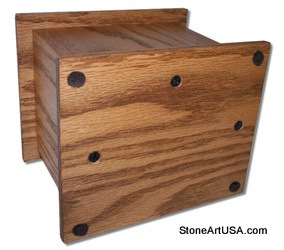 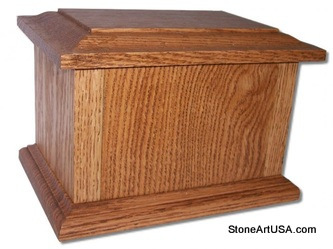 Additional photos of StoneArtUSA's oak & granite pet urns. 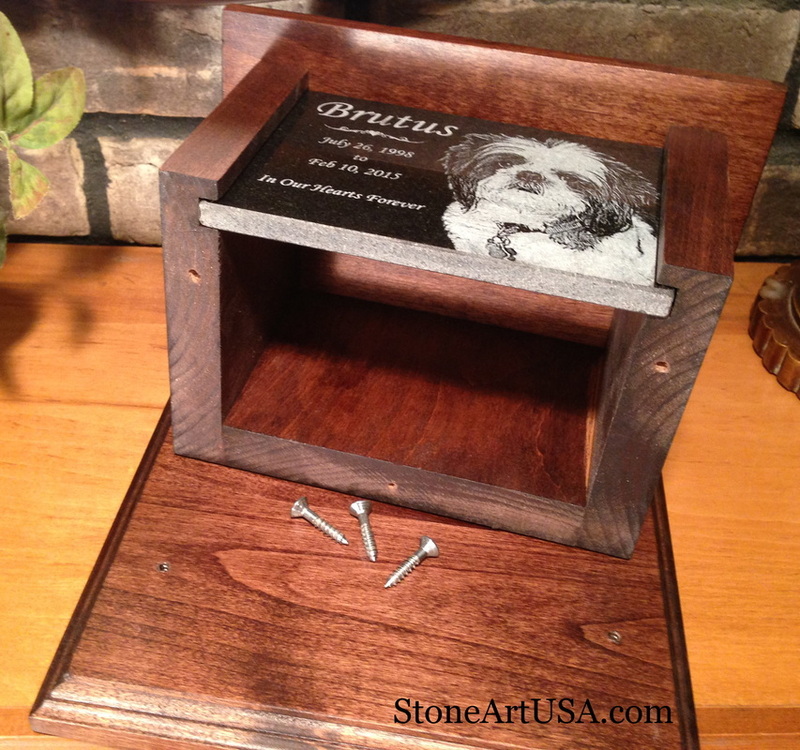 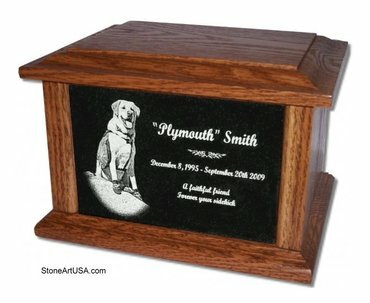 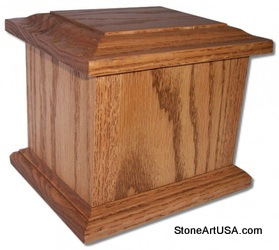 Professionally made, quality oak & alder pet urns with laser etched granite plaques. 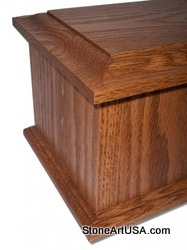 Three countersunk screws make it easy to access the cremation chamber.